This post marks the beginning of a new series called Center Stage, where I focus on small to medium sized businesses that I love. Enjoy! Milk and Joy Co. is owned by Lacey Urban, mother of an adventurous twenty month old daughter and the most content two week old son. Born and raised in Pennsylvania, she is a farm girl thru and thru. At the age of 19, she married her best friend and it’s been an incredible journey ever since. She is passionate about caring for her family, following the dreams God has placed on her heart and loving others. 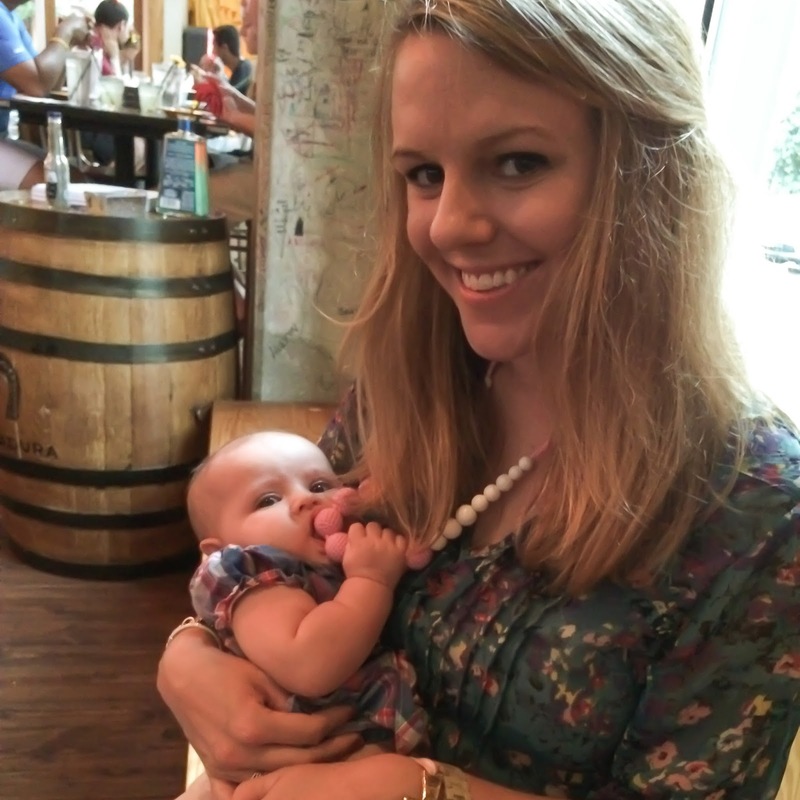 Lacey was inspired to start Milk and Joy after realizing it was no easy task finding products that were safe and organic for her daughter, especially during her teething stage or when she wanted something to play with while nursing and being held. Let alone a product that was classy and comfortable to wear. 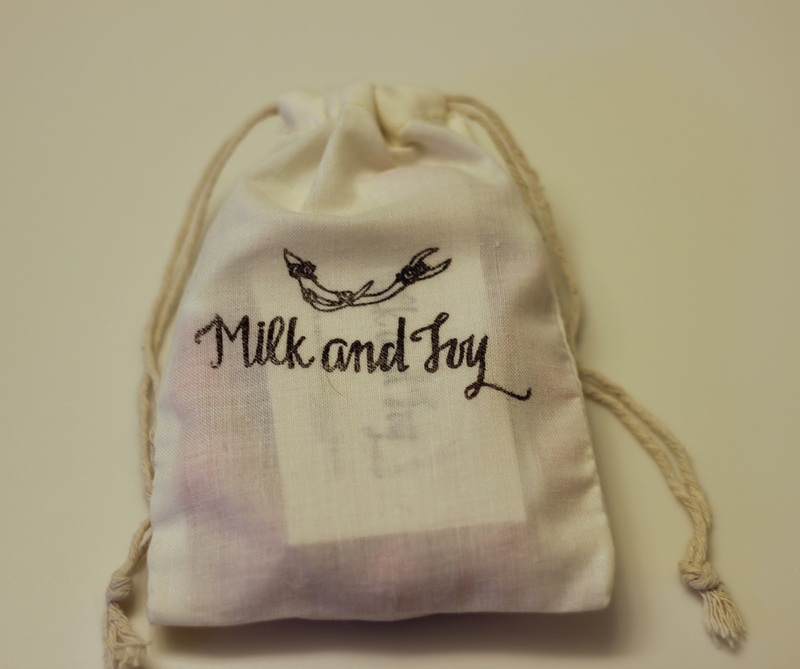 As a lover of design and nature, she saw a need to create stylish and eco-friendly products for both mother and child or any lady wanting something pretty. Milk and Joy is on a mission to create products that are handmade and carefully crafted to ensure safety for child and a modern, stylish twist for mom. We only use the best certified organic materials which includes our unique 100% organic yarn, which is hand-spun and nature dyed with organic elements. Isn’t it awkward when you don’t know what to do with your hands. That’s how babies are when they breastfeed. Maddie Grace tends to solve this problem by scratching my chest when she nurses, which isn’t the most pleasant thing in the world. This necklace is a lifesaver as instead of scratching me she plays with the beads on it. 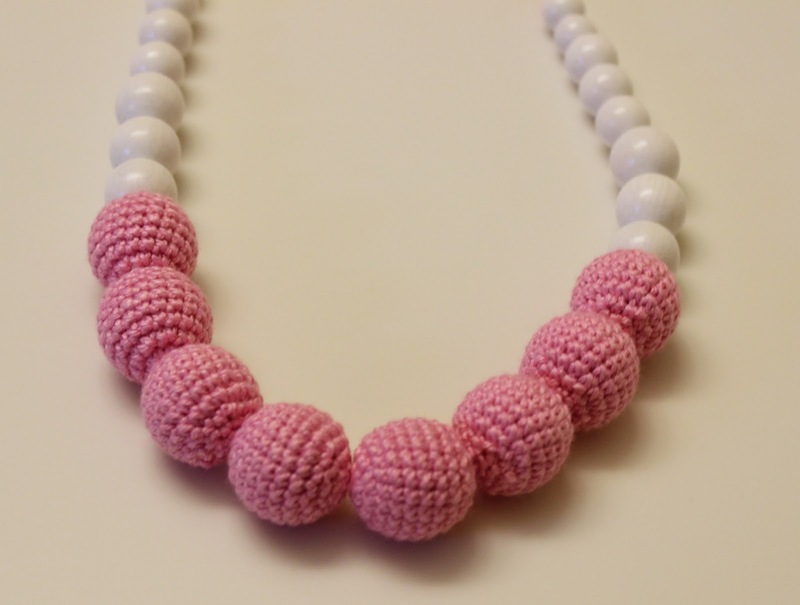 She also ends up playing with the beads when not eating as she loves having something in her hands – I think there is something about the crocheted yarn covering over the beads that she likes to feel. As I’ve talked about before, Maddie Grace is a teething mess right now. 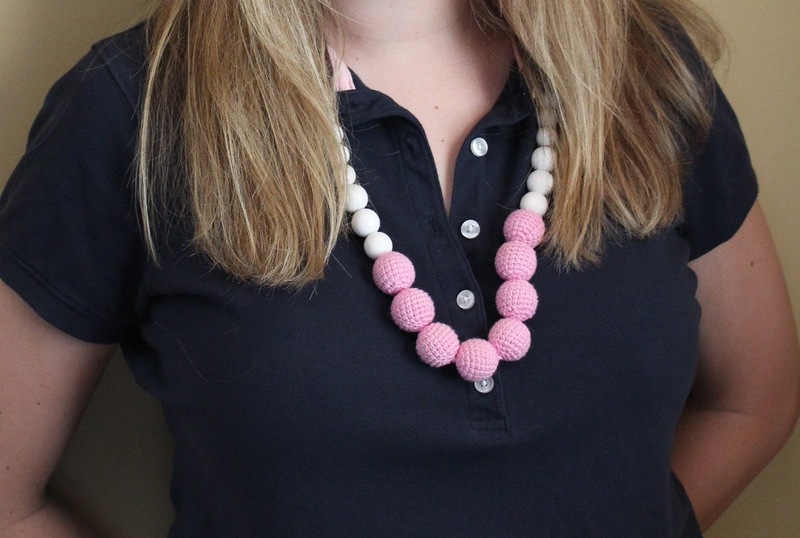 The beads on this necklace are the perfect size for her to stick in her mouth and chew on, and she does… frequently. I feel better as a mom knowing that the material my baby is putting in her mouth is organic and natural. And finally, these necklaces are cute. I’ve received compliments every time I’ve worn mine. Even if you aren’t a mom you can wear one as stylish statement necklace, and know that you’re supporting a great cause. Disclaimer: I received this product complimentary for purposes of this review. All thoughts and opinions are my own and I only recommend products that I truly love. They really are great! Perfect reason to go for another! I love the Navy little lady necklace. So cute! I love the navy and grey one. My little one is 4.5 months so this is great timing! I love that one too! I bet you're dealing with some of the same teething troubles that we are! I love the Navy Little Lady one & the pink & grey! Great giveaway! I'm partial to pink so that is one of my favorites as well! Gotta love businesses that give back! I really like the Navy and Grey, they are all cute! Love these! I really like the beige organic cotton! So pretty! I love the Navy and Grey – but all so cute! The Pink Organic Cotton is so cute! They are all so cute!